This story is told through the eyes of Emilia a very powerful witch she has a gift with all types of stone and creates a business out of it finding rare stones or helping miners. She seems very independant and a straight talking character. She gets kidnapped by Alex a werewolf to help find his brother Chris, this isn't something she has ever been able to do before but even under the extreme circumstances, she tries and succeeds. When she first sees Chris I think it's love at first sight. 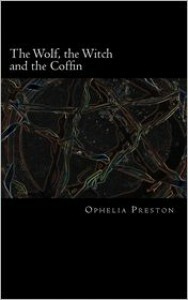 The story lifts off from there and Emilie is thrown into a world of werewolves, vampires and witches. A love story blossoms between her and Chris that is very strong, and he becomes your typical protective werewolf. They story is broken into a few sub-plots but they all tie together well, the first is a fight for pack leadership, and a war in new-york city against the vampires, for the Book of Thoth. On top of that you have witches and others coming into new york territory either to help capture or Kill Emilia. I love how strong Emilia was she was no damsel in distress and actually saves the whole pack at one point from the vampires, she is deadly with her gifts, yet family issues arise on top of all she has to contend with. In my opinion it was a nice story one I enjoyed.